You are ready to buy a home. You have searched and searched and have found the perfect home! But is it too good to be true? Only a home inspection will tell. If it is your first time buying a home, you might not know what it is. 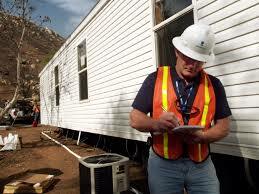 A home inspection is when a professional home inspector comes into the home and inspects every aspect of it. They look at everything from the roof to foundation, plumbing to HVAC. A home inspector will give you a list of all of the items that were found in the home. This will include everything from a leaky faucet, to an outlet that doesn’t work, or even a cracked foundation. You need to decide what is important, and what isn’t. You don’t want to necessarily request that everything be fixed because it might hinder the deal. Here are a few important things to look out for. Roof: If the roof is leaking or has very limited life in it, you may want to ask for it to be replaced or repaired. Hot water heater: If the hot water heater is in poor repair, it might be worth asking for a replacement. Cracked foundation: This is a very big deal and needs to be dealt with. Talk to your real estate professional about your best options. If you are unsure of your options, or what you should and shouldn’t worry about, ask your real estate agent. A home inspection may cost anywhere from $300 to $500, but consider how much it could cost you if you don’t get one. When you are ready to buy or sell your home, we at Alain Pinel Realtors are here to help you with all of your real estate needs! If you are unsure what your options are, call Matt Tenczar at (408) 605-8124 or contact me via email. You can also visit us at our website for available listings and additional information.